Online play, also known as Online Multiplayer, refers to a mode in which multiple players can play a game together or against each other over an internet connection. 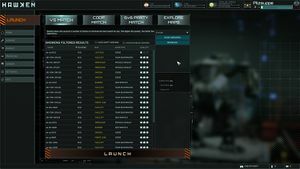 Online matches are usually hosted on official dedicated game servers, but some developers also allow independent community servers. These servers are usually distributed around the world so players don't experience high latency. The latency (ping) determines how long the signal takes from the computer to the server and back. Actions in game arrive faster at the server if the latency is low. It can be very frustrating to play with a high latency, because the game becomes very unresponsive. Most players consider pings below 50 ms as acceptable, games usually become uncomfortable with a latency above 100 ms. This page was last edited on 6 May 2015, at 00:36.